One of the most expected smartphones recently was Oppo Find X with high-end features from Oppo brand. The launches date and other detail of the Find X phone news published here few days back. The X series is going on from few brand's smartphones including Oppo, like an iPhone and Vivo' X series etc. The brand launches Find X smartphone with three pop-up cameras (2 rear and 1 front) and Qualcomm Snapdragon processor. The flagship phone is killing around and we got some clips from social media as well. There is no 'Notch' and 'Bezel' in Find X device. If you are looking for an Oppo Find X smartphone key features, full specifications, release date, sale date, price and other detail like review and comparison etc. then some of them you would find over here. The latest phone Find X is powered by Qualcomm's Snapdragon 845 processor and coupled with 8GB of RAM for better performances overall. The phone also coming with 256GB / 128GB of internal storage variants. What is the important in this Find X phone? If you have a question as such then you might be either already knew or will know that this is one more new technology smartphone that comes with Motorized Camera System, three pop-up cameras, 2 rear, 1 front with high megapixel sensors. Oppo Find X is designed with 6.4 inches display with FHD and OLDE. The phone will run with Android Oreo operating system. The technology innovation from the device. As per the announcement from Oppo Mobile and Automobili Lamborghini, a global strategic partnership releasing the Find X Lamborghini Edition. This smartphone has the SUPERVOOC software that allows an incredible Flash Charge technology and displays gradient carbon fiber texture. You may find other details over here. This could be one of the best smartphones, best selling phone and possibly you may get the best deal around. You can find its specs and price detail. 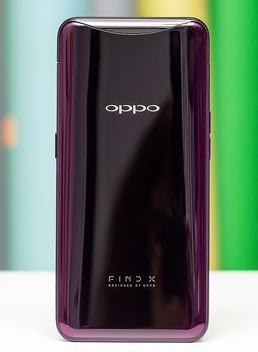 Oppo Find X price: Approx 35000/=* (yet to be confirmed). Tips: If you are searching for the latest feature packed smartphone then this is one more option for you.